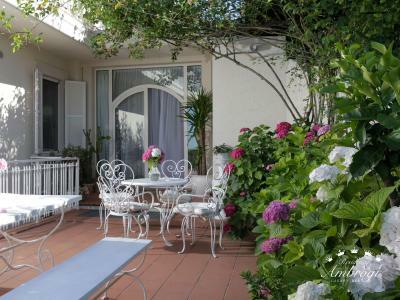 Lock in a great price for Residenza Ambrogi B&B – rated 9.7 by recent guests! Location. Renata the general manager was incredible. She is attentive, helpful and just a delight to interact with. 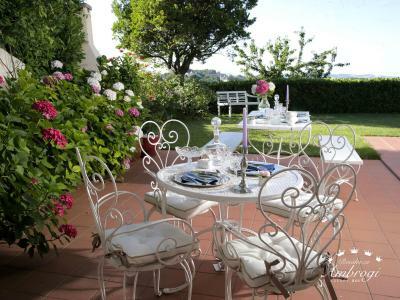 Beautiful place, amazing hostess, very clean, excellent breakfast, attention to details, good location. nice view, this place is perfect. 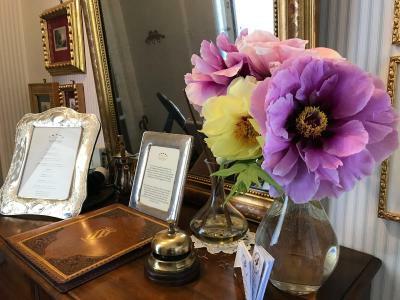 very comfortable beds, wonderful breakfast, friendly and helpful hosts. 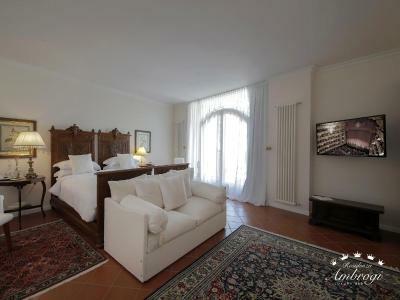 we would love to stay again at rezidenza ambrogi on a return to urbino. Great location within easy walking distance from the center. Beautiful panoramic view. Very tastefully decorated room. Friendly and helpful staff. Good breakfast. Great value for the price. Very friendly owner. Good service with lots of extra's. 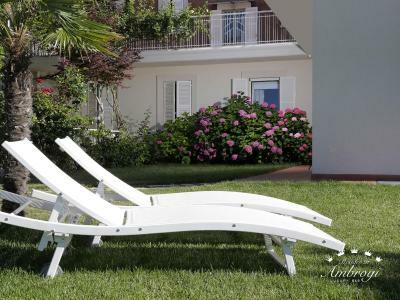 Perfect location and great comfort. Delicious fresh breakfast. Very relaxed and private. The house is tastefully decorated and the room is very beaitiful. The jacuzzi in my room was amazing and so relaxing after intense walking the entire day. Beatrice was the perfect host and saw to our every need. The breakfast she prepared every morning was generous and delicious. 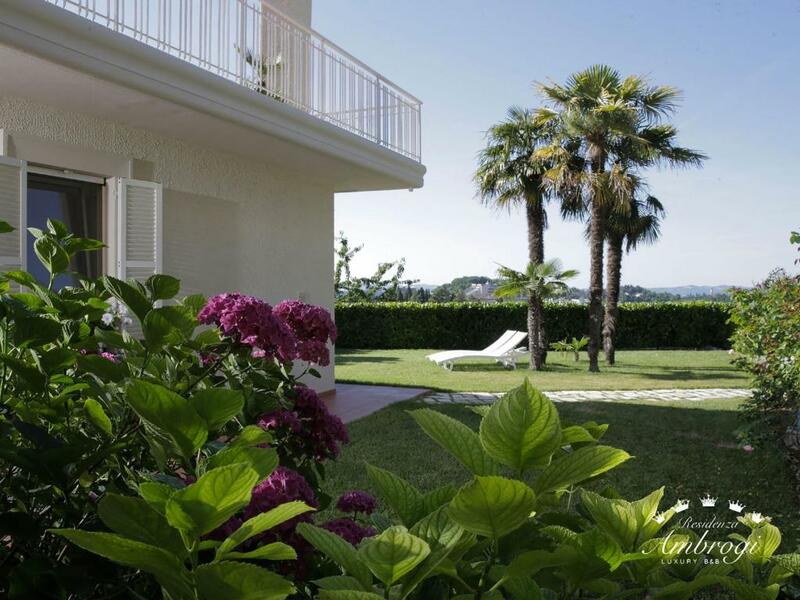 This is an incredible property, with the most gracious, elegant and kind service. 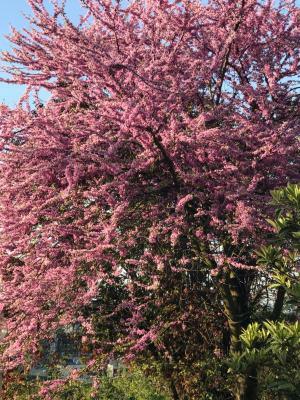 We had a beautiful visit. Don't hesitate to book. 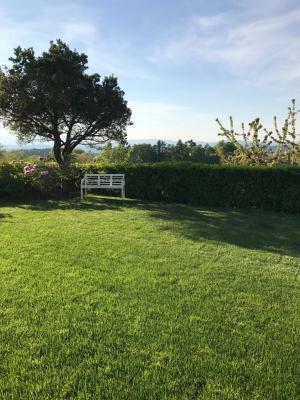 This is an excellent property with the kindest host. 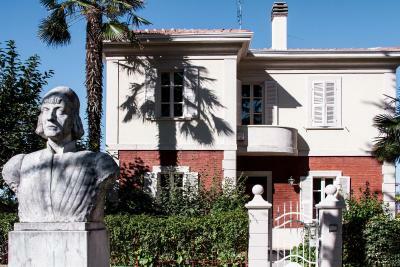 Its location is perfect: a few steps from the gate to the old city. The breakfast is wonderful, made with ingredients of the owner's garden (like the persimmons in season). We had the small double with separate bathroom (which was for our use only). Everything was spotlessly clean and lovely. Do book! One of our top picks in Urbino – and a guest favorite. 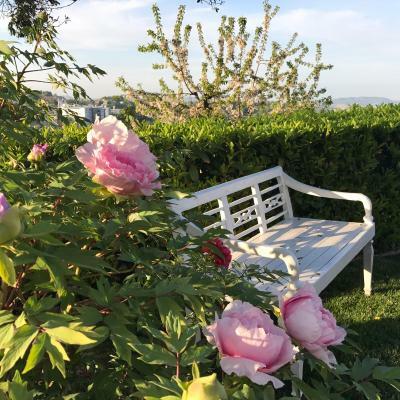 Offering a terrace and views of the garden, Residenza Ambrogi B&B is located in Urbino, 1,650 feet from Urbino Cathedral. Free WiFi is available throughout. Every room is fitted with a flat-screen TV. 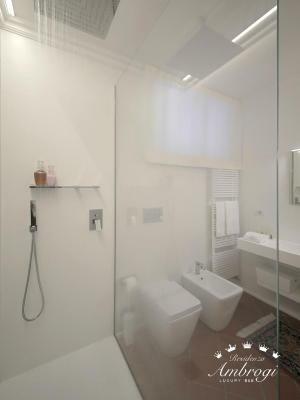 Every room also includes a private bathroom equipped with a bidet. For your comfort, you will find bathrobes, free toiletries and slippers. 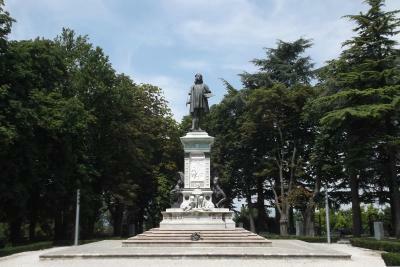 Palazzo Ducale is a 10-minute walk from Residenza Ambrogi B&B, while San Marino is 26 mi away. Federico Fellini International Airport is 34 mi from the property. 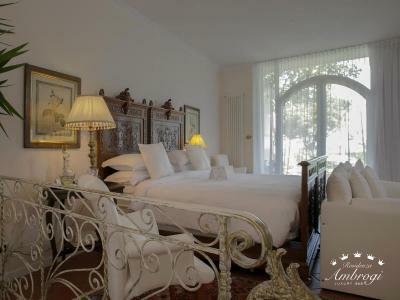 When would you like to stay at Residenza Ambrogi B&B? This double room has a sofa, bathrobe and garden view. 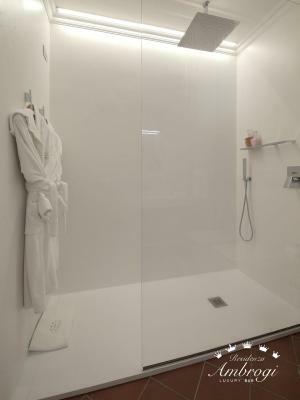 This double room features a spa bath, tile/marble floor and bathrobe. This double room has a flat-screen TV and bathrobe. The private bathroom is external. 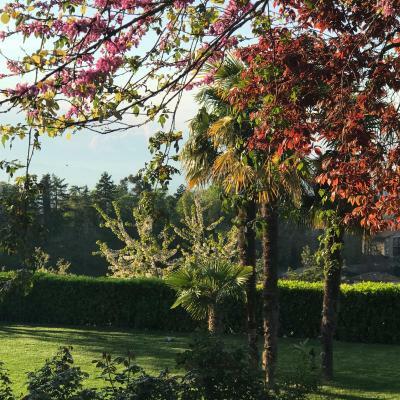 House Rules Residenza Ambrogi B&B takes special requests – add in the next step! 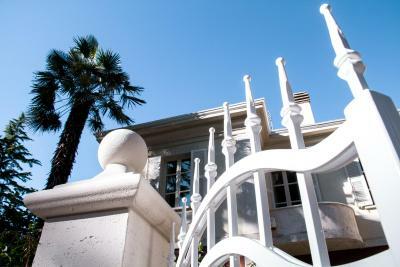 Residenza Ambrogi B&amp;B accepts these cards and reserves the right to temporarily hold an amount prior to arrival. 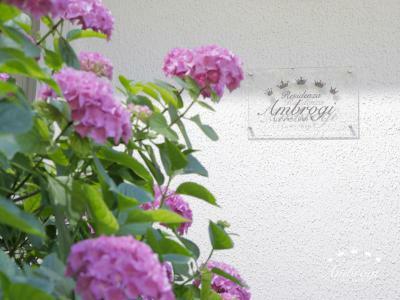 Residenza Ambrogi B&B accepts these cards and reserves the right to temporarily hold an amount prior to arrival. Please inform Residenza Ambrogi B&B of your expected arrival time in advance. You can use the Special Requests box when booking, or contact the property directly using the contact details in your confirmation. The cleaning staff needs greater consistency. 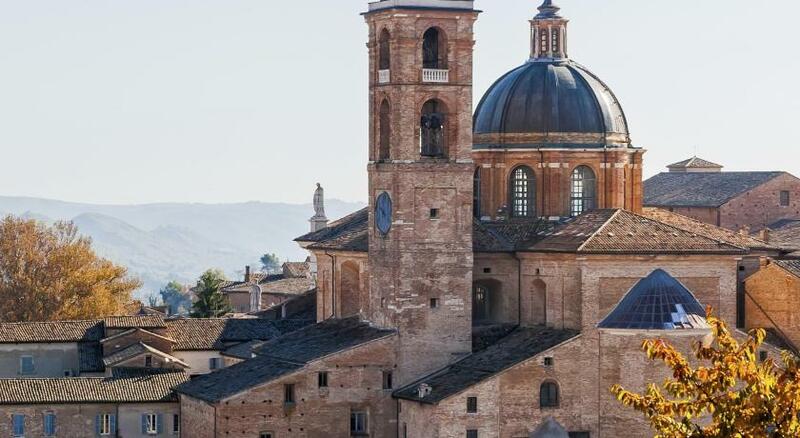 Difficult to find - address coordinates on booking.com do not correspond with actual address - the address on the booking website brings you to a small village 10 km from Urbino. Should be fix asap. With the help of friendly people we found the location after 1 hour! The steep climb up the slope to get to the B&B but this workout helped to burn calories so that I could eat more Italian food! 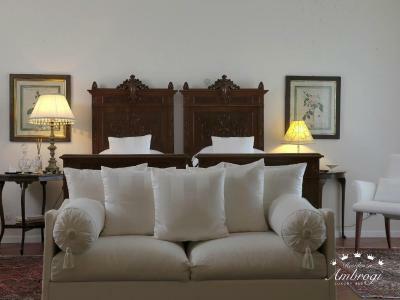 Very special place of luxurious comfort and a warm, caring welcome! We only wish we could have stayed longer to enjoy our beautiful room and another exquisite breakfast ! Thank you Beatrice! We are looking forward to our next stay! breakfast is too early and check-out is too early. very nice room , very nice breakfast. 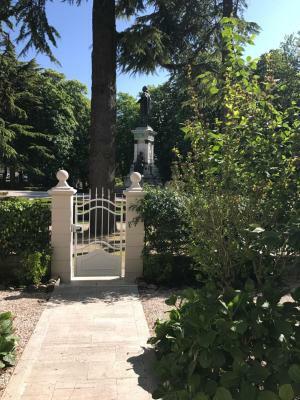 This property is located 50 metres from the gates of the old town of Urbino. Nearby parking was plentiful. 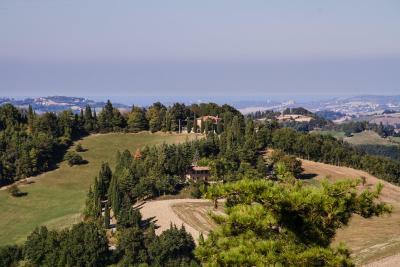 The property is located at the top of a hill with views of the new town, the Marche countryside and the Adriatic Sea. We booked the Garden Suite and our room was well furnished, clean and very large. Our hostess Beatrix prepared breakfast each morning with homemade cakes and jams. She was always helpful with tips for day trips. We stayed for four nights and both the accomodation and Urbino were the highlight of our trip. The room and the whole property is without any fault. It is in perfect condition and very clean. 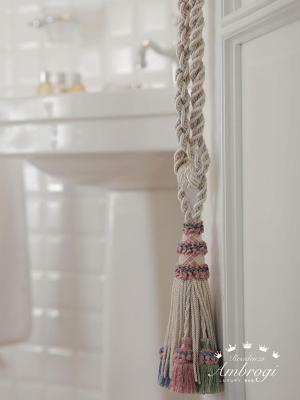 There is attention to detail and a touch of luxury. The host is very welcoming and friendly. The breakfast ample and tasty. Beautifully clean and hosts very welcoming. Absolutely spotless and breakfast first rate. Couldn’t have asked for more. Thank you. 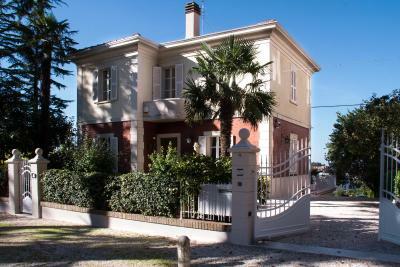 Clean, very well furnished and practically in the centre of the town. Great breakfast!